I just got off of my Pursuing Private Practice Masterclass group coaching call and felt so excited to write this! These group calls inspire ME just as much as I hope they inspire all of my students. We talked about so many exciting topics but one particular topic was my favorite–> how to get new clients. I have been in private practice for 7 years (!!) and throughout the years I have had a wide range of active clients in my practice. Sometimes I am “slower” with less active clients and other times I am overwhelmed!! I find it depends on the “season” of business, the economic attitude of my area, as well as my own networking efforts. I’ve learned there are a few things I can do as a business owner to increase my referrals. Hopefully these tips will help YOU get a new client for next week. Write a really good blog post or newsletter and blast it out on social media. Any popular or controversial topic has potential to get a lot of likes/views/links to your website and chances are someone may think “I need to see him or her”. 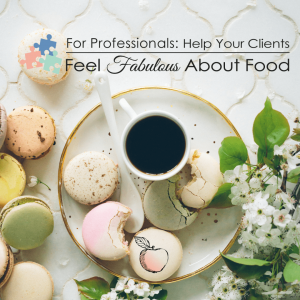 Don’t forget to include at least a line about how you are taking new clients! While in conversation…. ASK for more referrals!! I have openly said to many other healthcare professionals “I want some more clients” at certain times and have also told these people I have “popular” time slots open as well. Send business cards to at least 5 people. We are all obsessed with email in today’s world that I find it is so nice to get regular mail!! Anytime I get other providers business cards they go in the front of my business card holder and I’m thinking about that professional. Pick a NEW referral source and schedule a lunch date to really get to know them. Getting to know other healthcare professionals on a personal level is so much better networking than just introducing yourself and saying hi. Taking my own advice… I am now taking on a few Registered Dietitian Nutritionists for supervision/business coaching sessions! (I do both because I find it impossible to only focus on either one. In my opinion they go together!). You can learn more about my Supervison programs here.